Design, create, sketch, and diagram. An incredibly powerful app for both beginners and professionals. Start the 2-week trial now. Create quick, beautiful, and portable charts, graphics, designs, mockups, and more. Use your iPad and iPhone screen as your paper, canvas, and whiteboard—all in one. It comes with thousands of searchable objects via Stenciltown, like server racks, space planning stencils, iconography, and more. OmniGraffle provides a thoughtful, professional interface for creating everything from basic wireframes to polished interface sketches, tools to construct SVG graphics for your next website, or designing the layout for your next hundred-server project. Sync all of your documents as you make changes using OmniPresence, our open source sync technology. Need extra security? Use your own server. A thoughtful sketch or professional diagram communicates far better than words. 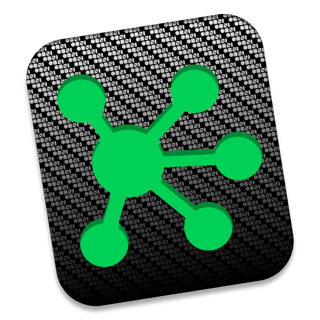 When you need a clear understanding of how information needs to be presented or how processes are carried out, OmniGraffle 3 for iOS is the tool to help you organize your thoughts visually, document them beautifully, and communicate them to the world. 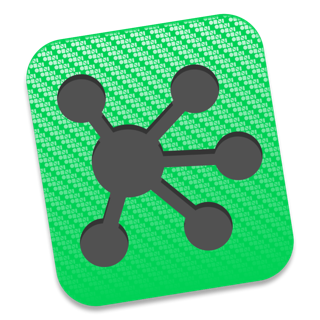 OmniGraffle 3 has features and functionality you won’t find anywhere else, and it behaves exactly how you’d expect an iPad and iPhone app should with multitouch gestures, Share Sheet integration, and more. - Redesigned interface to make common tasks readily available. - Canvas Size Modes: choose between Fixed, Flexible, or Infinite. The UI updates are very good and intuitive (especially if you are familiar with previous versions). But this latest version has huge problems with the gestures I’ve used from earlier versions. For example I use “Duplicate” very often. I touch and hold the object and then two-finger tap where I want the duplicate to be. Instead of duplicating the object, the original object displays it is selected. The older versions would have selected the original object as soon as it was touched. If I two-finger tap a second time the object will be duplicated. This is very awkward. Another problem is that if I tap and hold an object and then two-finger tap (which selects the first object) and then remove my finger from the original object and tap-off to unselect the first object a selection circle is displayed randomly on the screen. If I tap-off again then a selection bubble is displayed. It takes 3 tap-offs to fully clear the selection. I use an iPad Pro with the Apple Pencil and this issue displays regardless of the proximity of the Apple Pencil. I use this tool professionally and this is costing me time. Please fix the gesture issues and I will bump this back up to 5 stars because the new UI is great. Spent $79 for this app, that’s a lot for an iPad app. Now they’ve “updated” and I’m back to a free version that won’t let me do anything. Have tried to get the upgrade price, it fails. Have tried to restore purchases, it fails. Basically, if you want to pay for this app, decide if it’d be more fun to burn that money in your back yard, or give it to the OmniGroup. It’s basically the same thing, but you don’t get to watch it actually burn if you give it to them. Note: this review comes from someone that’s been an OmniGroup customer for 15ish years. I’ve advocated for them, bought countless licenses for my business and have been a loyal customer...until today. I really like on the software. It is expensive, but it’s good. On the gravel is amazing and definitely worth the cost. Or use it for teaching and find it immensely helpful. But I would love to see simpler and less Italy sinking solutions. Getting things working and running consistently is a pain. iCloud would be awesome. Thankfully, this doesn’t affect user experience in the long term because Once it’s set up it works well.